After a long wait, Google Pixel 3 and Pixel 3 XL was officially released with a number of bold claims on its behalf. According to Google, Pixel 3 Xl is the most helpful phone with the best camera in the world, apart from the smaller sibling the Google Pixel 3. Luckily, we had a change to get Pixel 3 XL hand on at the Made by Google launch event to let you know our early thoughts. Here’s what you should know about the new Google Pixel Xl 3 phone. The Google Pixel 3 XL design has an overall design over its predecessor, the last year Google Pixel 2 XL. It still comes with the search giant opting for design tweaks rather than a completely redesigned smartphone. You will also get a huge display with the notch on top, which keeps the phone look modern. However, there is still a sizable chin at the screen base. 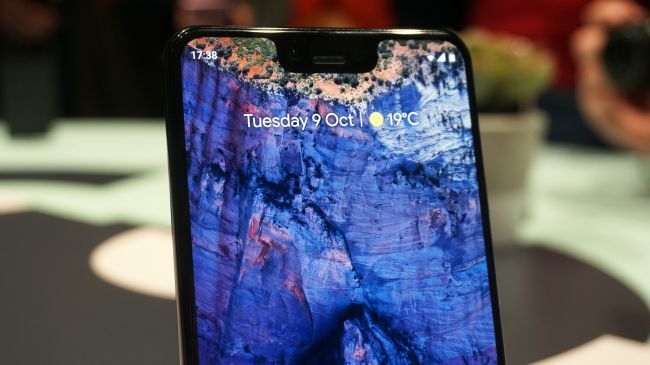 On the front, you also see dual speakers, which at least is the reason for the appearance of the bottom bezel, and they are up to 40% more louder than the stereo speakers found on the Pixel 2 XL. The good point is that although the Pixel 3 XL still remains the same form factor as its predecessor, the screen size has increased countably. The Pixel 2 had a very comfortable holding, and it’s not difficult to use one hand, there is no reason why the Pixel 3 XL cannot bring that feeling. The dual-contrast glass design is still kept on this new phone, but the size of the glossy glass section has been reduced at the top for a better look. 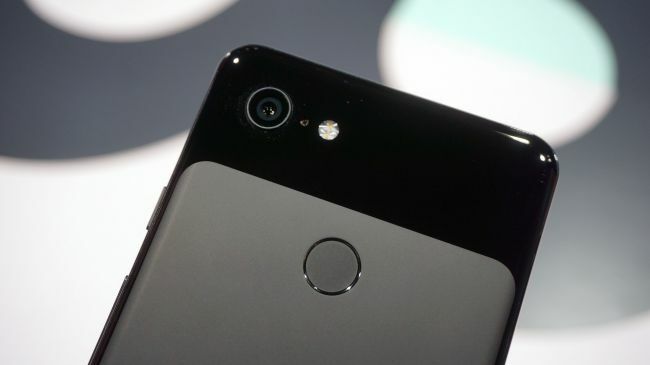 We don’t know why Google has jumped to a dual rear camera system when the Pixel 3 XL only comes with a single sensor in the top left corner alongside an LED flash. You still get rear-mounted fingerprint scanner which your forefinger can easily reach, a Power button on the right of the sidebar. But some might find it a little high up to reach instinctively. The Google Pixel 3 XL will go on sale in three color options, including Just Black, Clearly White and Not Pink. 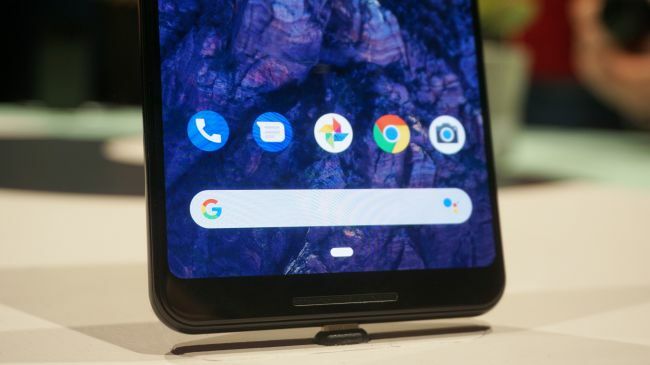 The Pixel 3 XL features a 6.3-inch POLED display with HDR support, which was claimed by Google to be the best Pixel screen ever. The display sports an 18:9 aspect ratio with a QHD (1440 x 2960) resolution to make sure everything looks stunning, clear and sharpen. There is no surprise as the Google Pixel 3 is preinstalled pure Android 9 Pie version, the latest Android operating system out of box, which absolutely brings a smooth and fast feeling under your finger. Under the hood, it’s the Snapdragon 845 SoC with 4GB of RAM, which can keep everything ticking along nicely. The Google Pixel 3 XL is powered by a 3430mAh battery capacity, which is a little smaller than the 3,520mAh battery found on the Pixel 2 XL. However, thanks to Snapdragon 845 chipset and pure Android Pie, the battery usage is expected to be better. Since the cover is made of glass, so the Pixel 3 XL supports Qi wireless charging, allowing you to charge the phone wirelessly with any Qi charging pad. While the Pixel 3 XL is not equipped a dual rear-facing camera system and only features a single-lens 12.2MP, which is not popular on flagships at the moment, the camera quality is still excellent. The Pixel 3 XL also has a completely new camera mode called Top Shot. With this feature, the phone can automatically capture a burst of shots, and then choose the best of the bunch. You can also manually scroll through all the shots to get a different look. To make this mode work, you need to make sure ‘motion’ is enabled for it. You can see a small icon at the top when you are in the standard camera mode. The device will capture three seconds of video with each shot and then highlights what it thinks to be the best shot in the gallery. The Google Pixel 3 Xl also allows you to edit the depth of the background blur when you take portrait shots. You can also choose a color pop effect to make the background black and white while your subject still remains color for a more impressive photo. Although the Pixel 3 XL just comes with a single rear camera, the camera software can digitally apply the background effect, and we have to say it works extremely well, even much better than other dual Android camera phones. Interestingly, you will get dual 8MP front-facing cameras, and the second one is a wide-angle camera, which offers more space to fit in more people just in a shot. There’s a zoom slider on screen, allowing you to easily jump between the two lenses. According to rumors, the Google Pixel 3 XL will be released on October 18 in the US, and on November 1 in 12 more countries such as India, the UK. Pre-orders for Pixel 3 XL are opening today in the US, UK and other countries. The Google Pixel 3 XL will be priced at $899 (£869) the unlocked 64GB storage variant, and $999 (£969) for the 128GB storage space. Compared to its predecessor, the Pixel 2 XL, the Pixel 3 XL is an incremental upgrade with an improved camera, better display and design, newer features and more powerful chipset. The Pixel 3 Xl looks like an accomplished smartphone, and while it’s designed to delight with all-round performance and an excellent camera. What do you think about the new Google Pixel 3 XL? Will you make a preorder yourself? Let’s know in the comment below.